John is a sought after motivational speaker who helps people who are struggling with their grief. 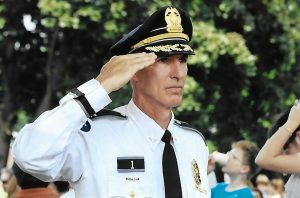 John LaCross is the retired Chief of the Barrington Police Department for the last 17 years. John also served 23 years on the Rhode Island State Police when he started his law enforcement career in June of 1979. Loss and grief is a subject very close to John’s heart after he lost his older brother in 1979. His brother’s death launched him on his spiritual journey. Later in life, John would lose a family member to suicide, a state trooper classmate to cancer and two of his childhood best friends. A true journey of loss. John’s quest to find out the truth, “are they alive in Spirit, can I communicate with them?” began John’s exploration into the world of psychics and mediums. As a law enforcement officer for over 40 years, John needed strong validation and proof that his brother and friends were alive in Spirit and were okay. John’s presentation brings the audience from tears to cheers and much laughter as he explains his Spiritual Journey to overcome his grief and not only HIS fears but the fears of his loved ones who held him back from his life’s passion; HELPING YOU. John will gently teach the audience about grief and how to take ownership of their own grief process. In addition, John will provide you with a Spiritually Guided Meditation called The Visit, which will connect you to your loved one(s) who have passed over. 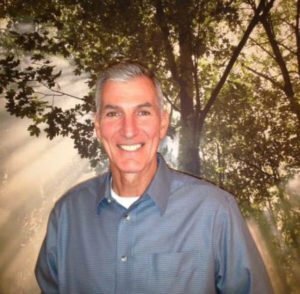 John is a Usui Reiki Master, a Level II Reconnective Healing Practioner, trained in Qi-Gong Medical Healing, trained in Mindfulness Meditation from U-Mass Medical School and a Certified Grief Facilitator.